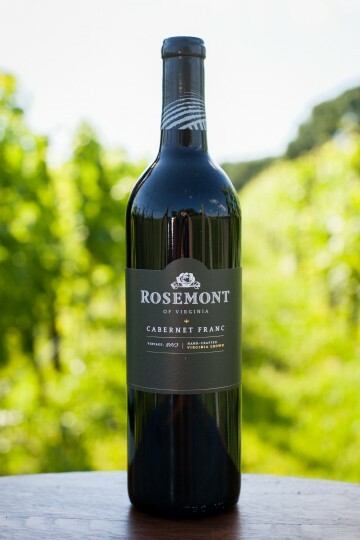 A favorite among wineries in Virginia, Cabernet Franc is a grape that really showcases Virginia climate and soil conditions that are optimal for growing a spicy, fruit forward Cabernet. It’s like an aroma potpourri of floral and spice, then fills the mouth with dried fruit and preserves reminiscent of a nutty fruitcake, ending with a smooth, caramel chocolate truffle finish. This wine pairs well with any red meat, especially one that’s been nicely peppered and thrown on the grill. I love your Cabernet Franc! I am not familiar with Cabernet’s but I would highly recommend it for any occasion! It’s lovely! I can’t wait to come back and buy some more! You have my vote! Love the complexity and balance of this wine. Delightful and delicious! Just attended festival of the grape in powatan. No comparison. Would love to buy a case. One of the best Cabernet Francs that I have ever tasted. Kudos to your viticulturist and your vintner. This cab franc was given to me as a housewarming gift and I must say it was wonderfully satisfying …. I will definitely visit Rosemont this summer and purchase another bottle.